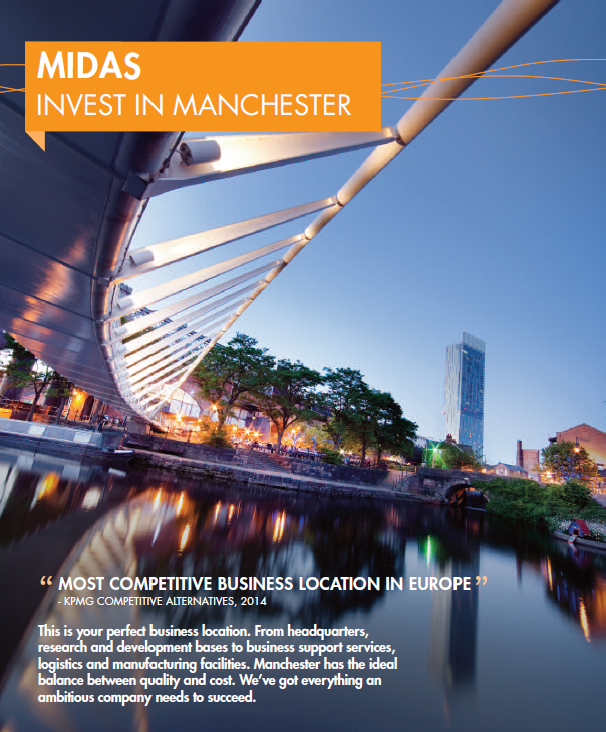 MIDAS, Manchester’s investment agency, can help you and your business with relocation and expansion plans. We have a reputation for understanding diverse business needs and helping to remove any barriers for companies looking to locate or expand into Manchester. Download the brochure to find out more about the services MIDAS offers.